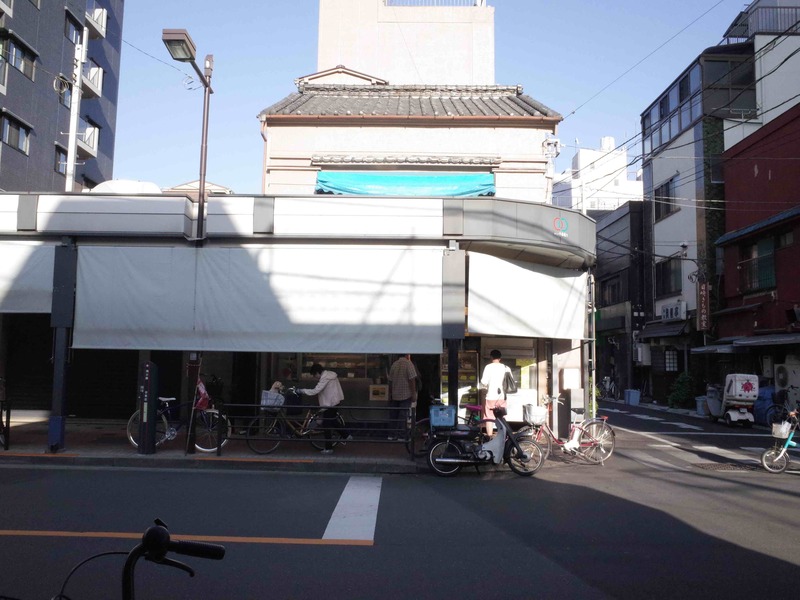 The little crowd of customers outside Takematsu Chicken Shop is a good sign, on Golden Week holiday, along this shuttered stretch of Senzoku-dori, toward Yoshiwara, north of Sensoji. The late afternoon sun burns into the awning. It’s near closing time. Watch your feet please, says one of the staff. You step aside, and the employee sluices water across the footpath. An elderly staff member scrubs and hoses. A woman in a coloured apron works in the back. Two young men run the counter. 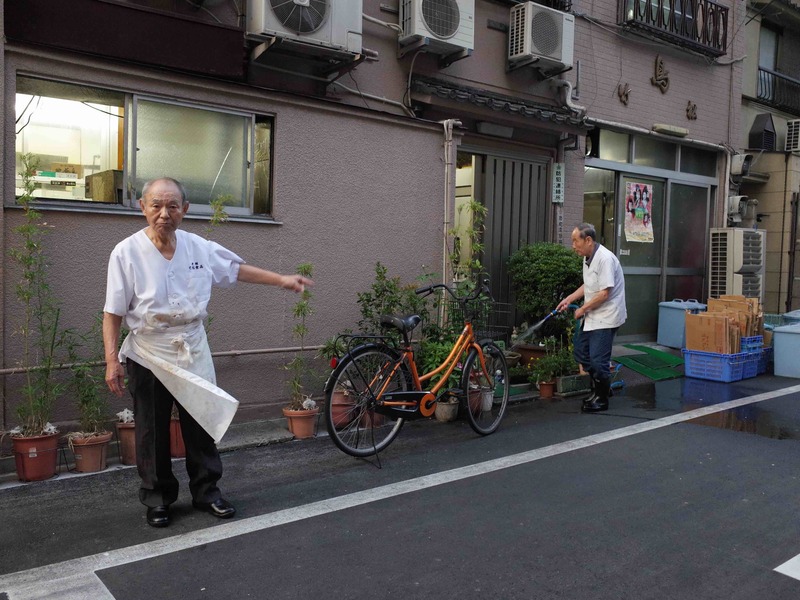 Another pair of older men butcher chicken in the opposite room. One feeds meat into a mincer. There are two rotisserie grills. All the men are dressed in spattered white. They work hard. 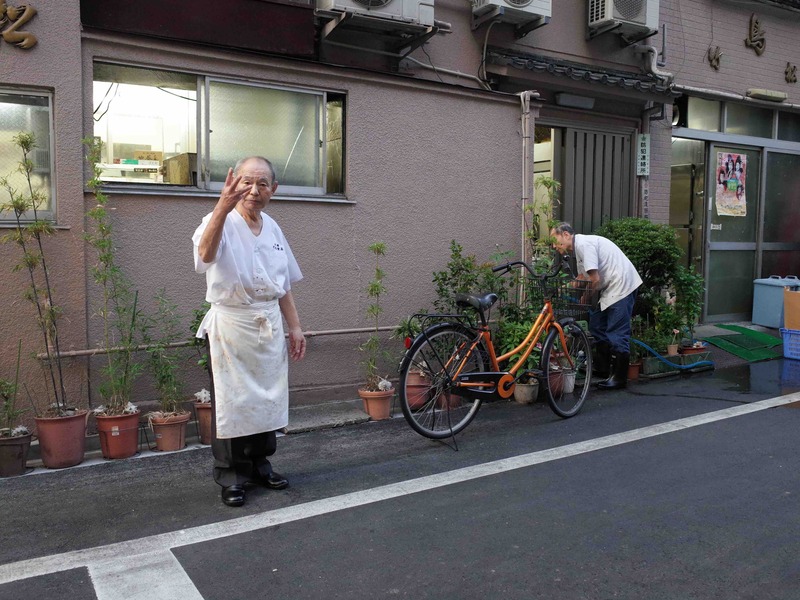 Shop-master Hiromitsu Takashima seems gruff when you first approach him, but soon smiles after he comes into the street. Did you know I am in a manga? he says, handing you a book. It has just been published. Have a look, then I’ll come and talk to you. He returns inside. The cartoon in Asakusa Uneune Eating Tour Guide has a good likeness of his round face. 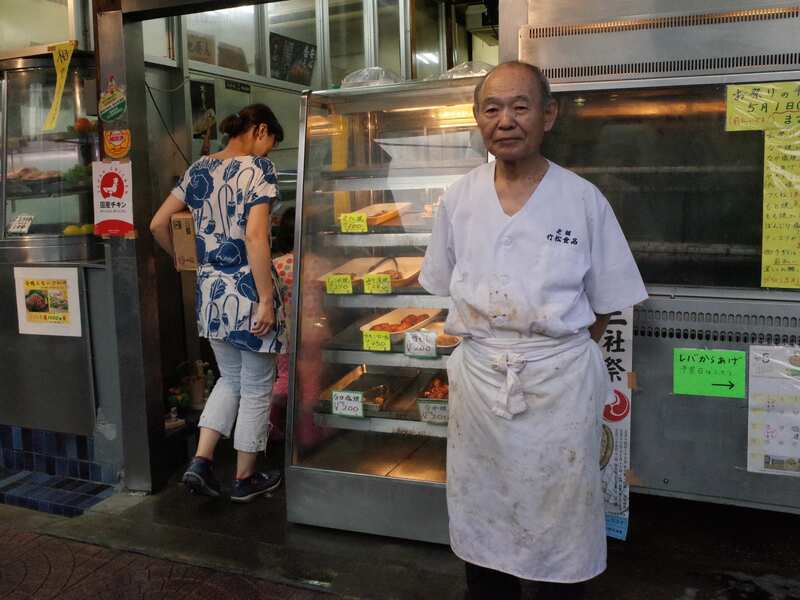 It says on an average weekday he sells some 700 or 800 pieces of his most popular item, the salt-grilled naka-yaki, or wing. Sometimes as many as 5,000. He says his three busiest times are festivals, New Year and Christmas. Three-hundred roast chickens at Christmas, he says. Two-thousand thighs. 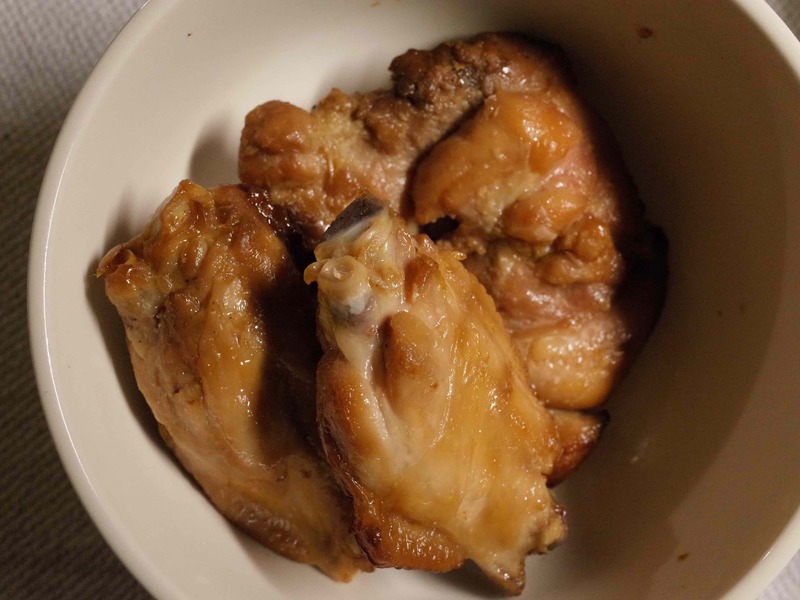 The thighs are miso- or ginger-grilled, teriyaki-style, or sake-steamed. There is also rolled chicken, battered deep-fried kara-age, sticks of yakitori, negi-ma, liver and tsukune. It all looks good. The empty trays give the impression the chicken moves off the shelves fast. 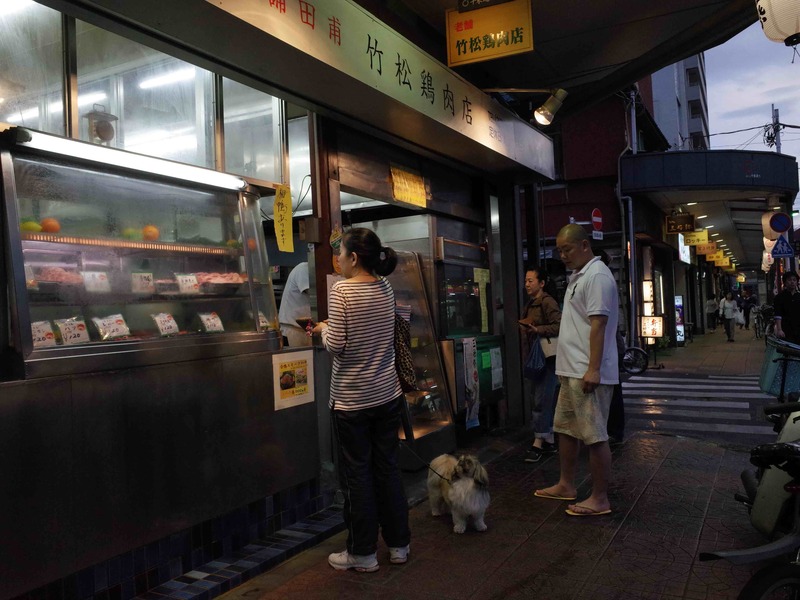 Takashima also makes a limited batch of deep-fried liver kara-age, on days marked on the calendar by the door. A thoughtful touch is the miniature bottle of homemade tare – yakitori sauce – he gives away with every purchase of more than two sticks. That’s to make up for how the already sauced chicken tends to dry out when you reheat it at home. Takashima says he developed all the store’s recipes, cooking techniques and seasoning himself. Back in the 1930s, when his father took over the business that stood here, it was only a general butcher’s shop. About 40 years later, Takashima decided to specialise in chicken. He works with his brother and sister. That’s my big brother he says, pointing to the man hosing. There are three of us children. He does a good trade – he owns this building and an apartment block nearby – but the truth is, it doesn’t take much to get a crowd outside. That’s because hardly anyone can fit into the shop. The system is that you choose your chicken outside, and only enter when it’s time to pay. The atmosphere on the street is friendly. There are housewives and couples, children and pets. People on bicycles thread past. Takashima is 72 years old. He has no son, but one of the staff is his nephew. So there’s someone to take over when he retires. Retire? He laughs. I will work here until I die.